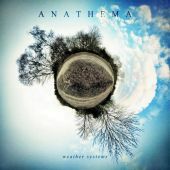 The new Anathema album "Weather Systems" was a pleasant surprise for me after the somewhat inconsistent and uninspiring "We’re Here Because We’re Here" because it injects a new style and substance into the band that is pleasant and welcoming. The nature of this album is in fact very relaxed, but it manages to be vibrant and very emotional as well. The first two songs on the album set the stage nicely for the remainder of the material because the 'Untouchable' tracks are indeed two of the finest songs to be found on the entire album. The use of female vocals adds a nice flavour to the album and the general vocal choices are a strong point as with most Anathema albums. The band seems to have found a more appropriate style than on their previous album, which seemed confused and incomplete to some extent. 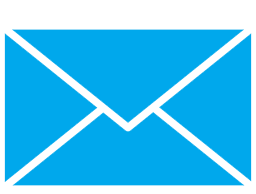 Here we have them creating a more complete work that harkens more to what they were able to do in the past. Though the band still has shades of Radiohead in their sound these days, this is still more in the vein of the quality of their "Alternative 4"/"Judgement"/"A Fine Day To Exit" period. Some fans will find the album to soft and poppy in nature, but with the way the band has been evolving one would expect this from Anathema. I was entrenched by the atmosphere with reflects the album title very well here. It’s not as good as "Judgement" or "Alternative 4", but this is still a very strong album that is now one of the necessary pieces to own by the band. "Weather Systems" is one of the most poignant listens in the whole catalogue of the band and a nice return to form for a band that I was worried would become uninteresting to listen to in the long run.